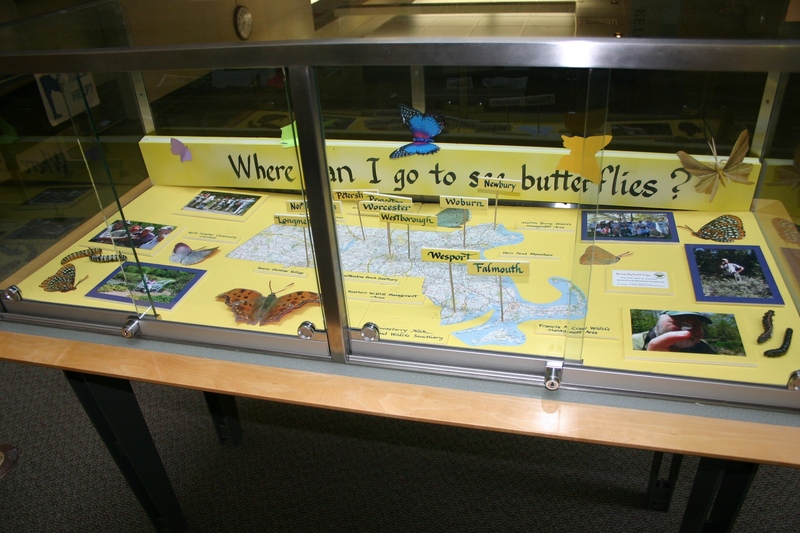 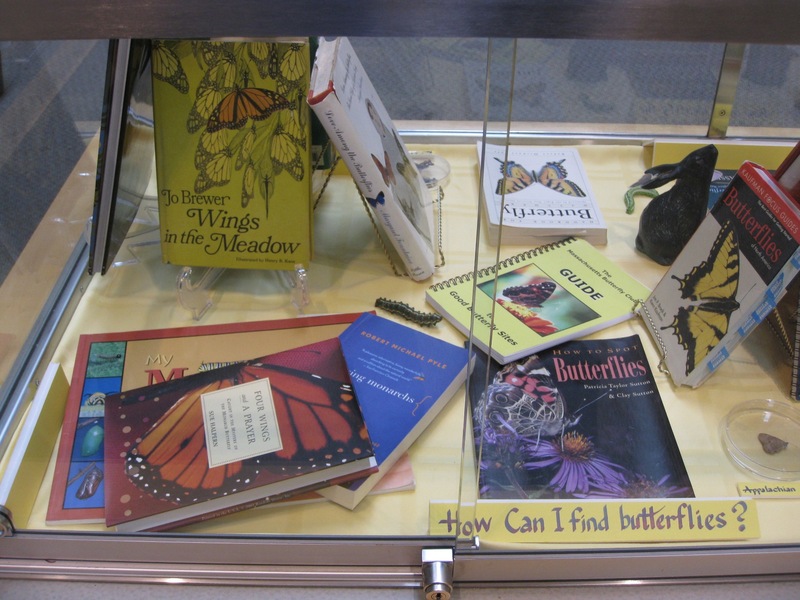 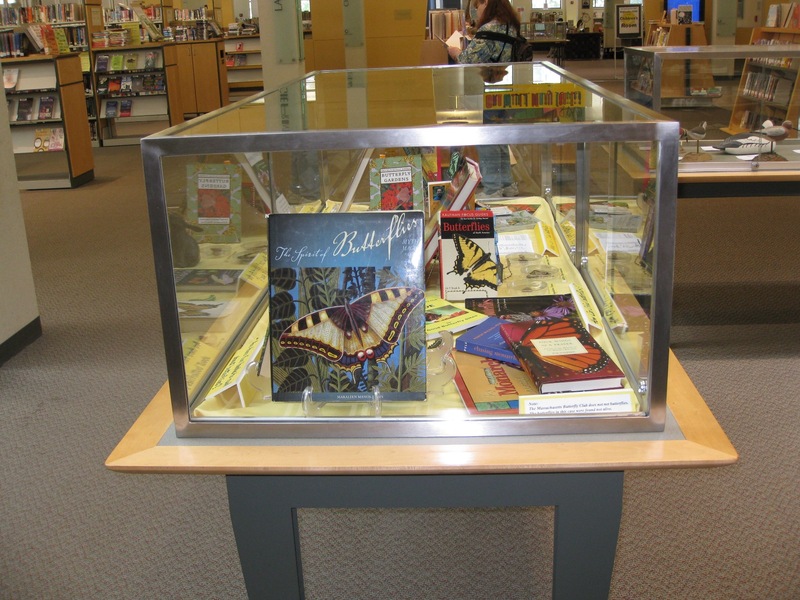 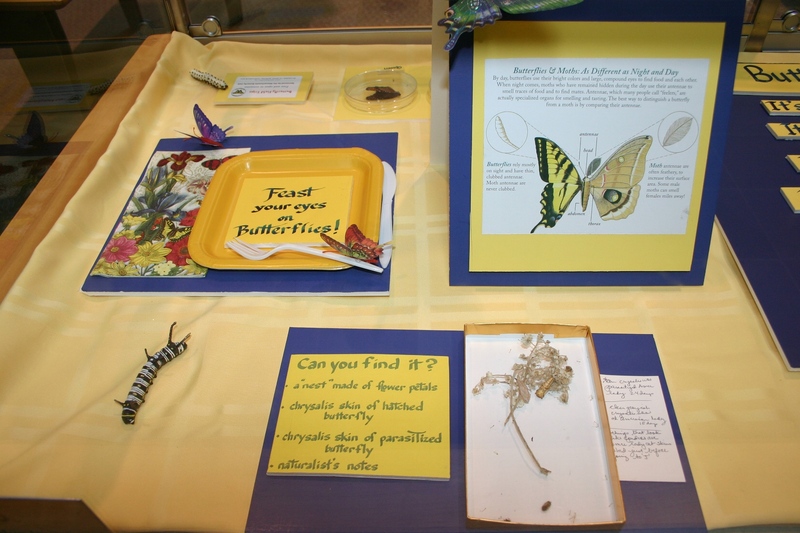 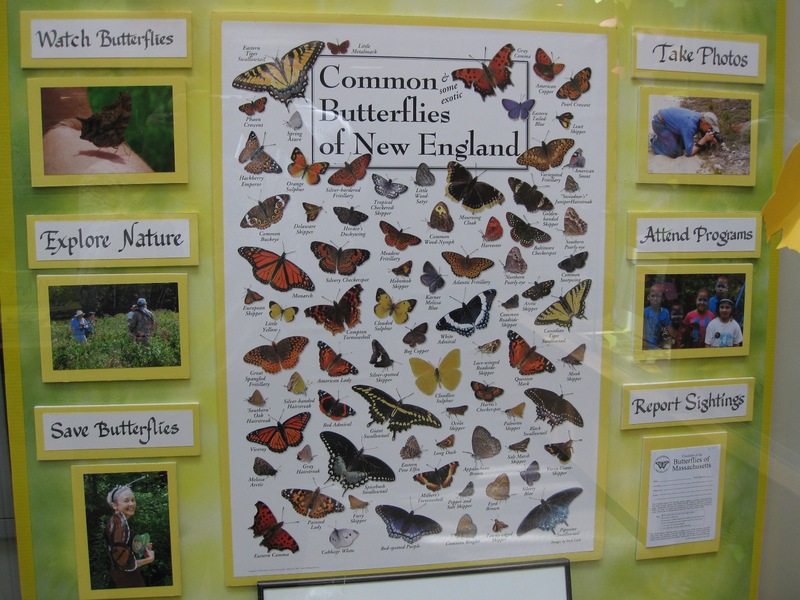 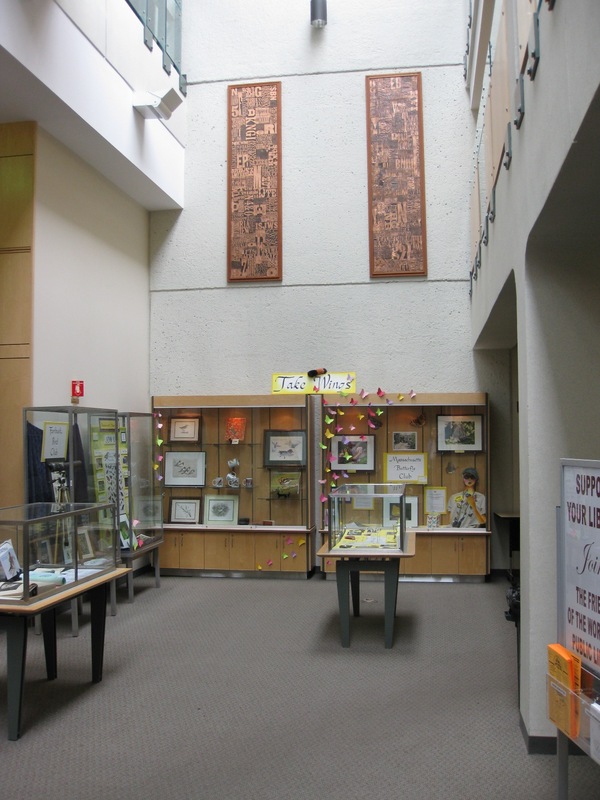 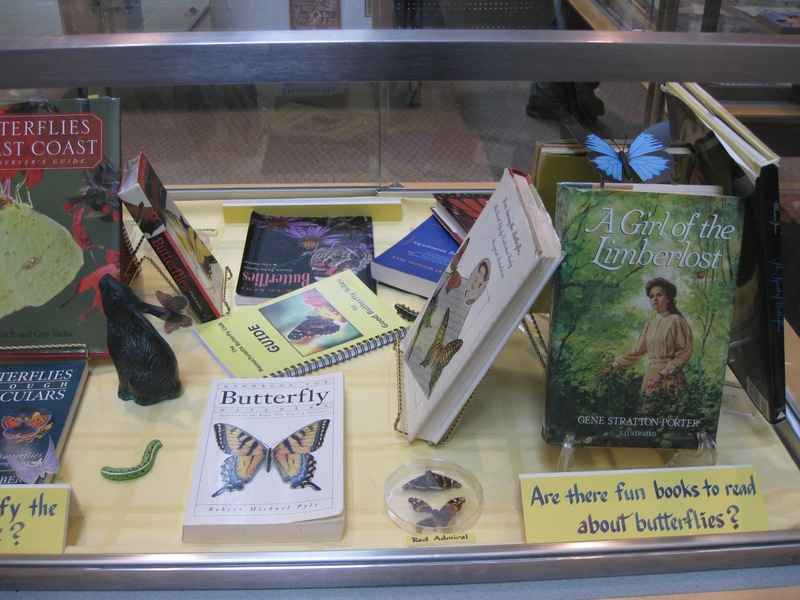 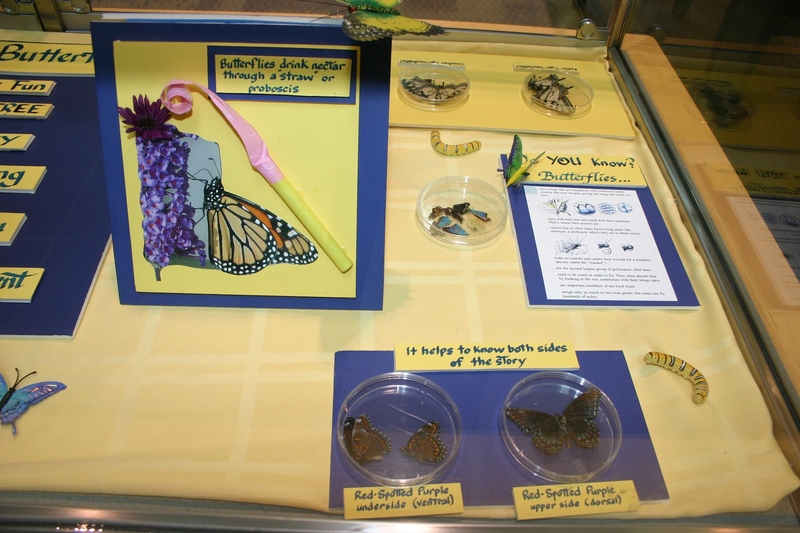 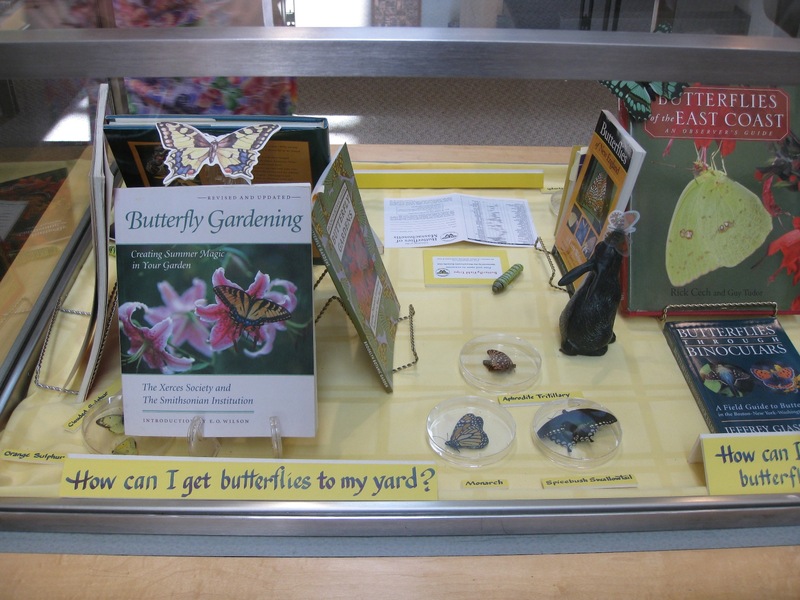 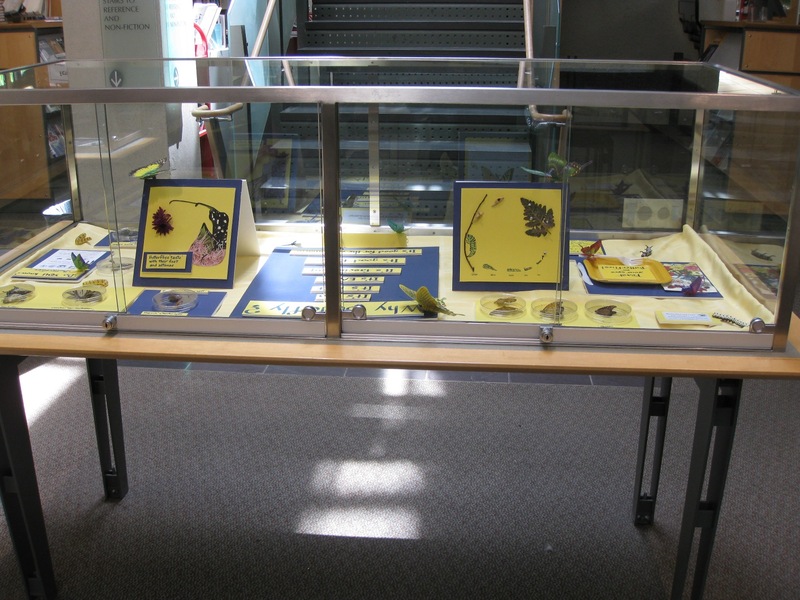 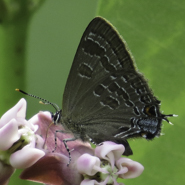 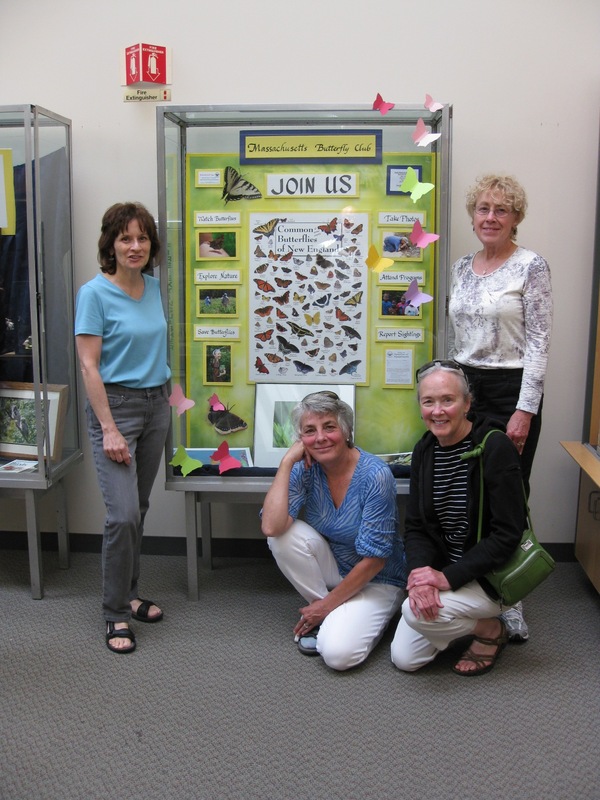 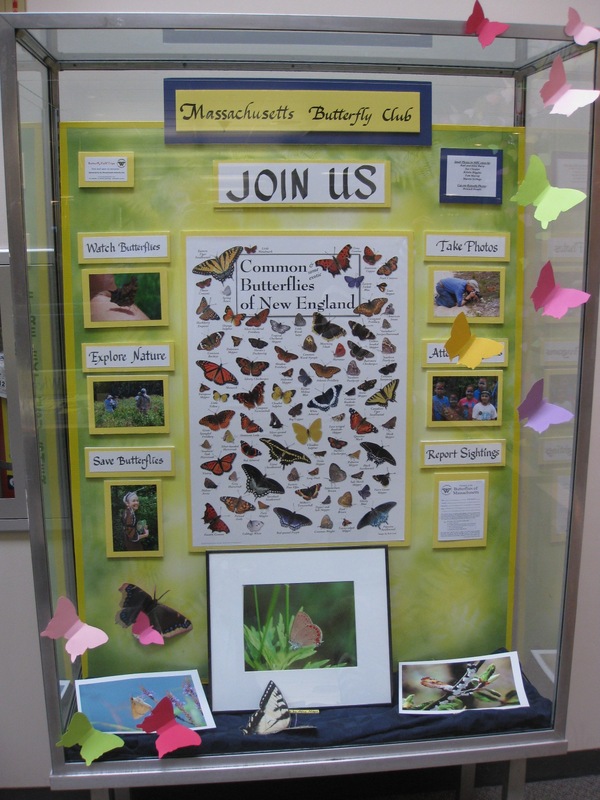 Several members of the Mass Butterfly Club and the Forbush Bird Club recently set-up a large butterflies and birds display at the Worcester Public Library. 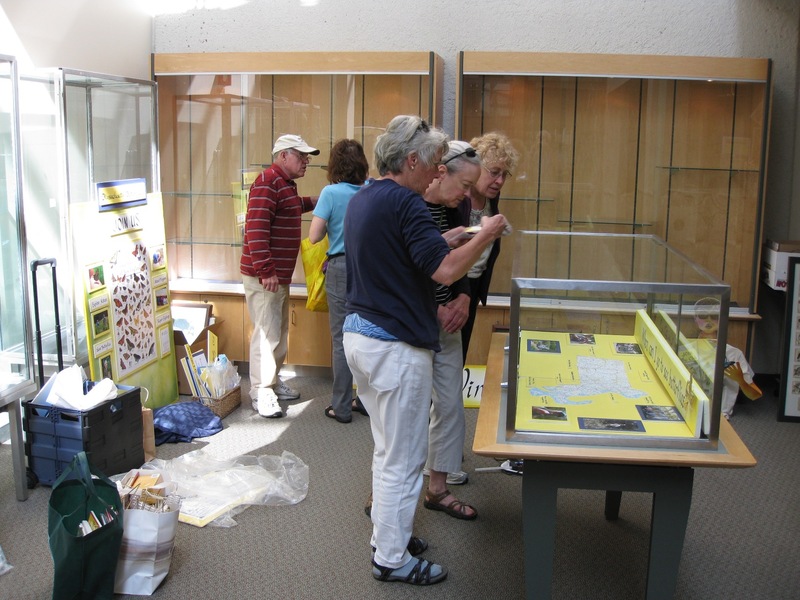 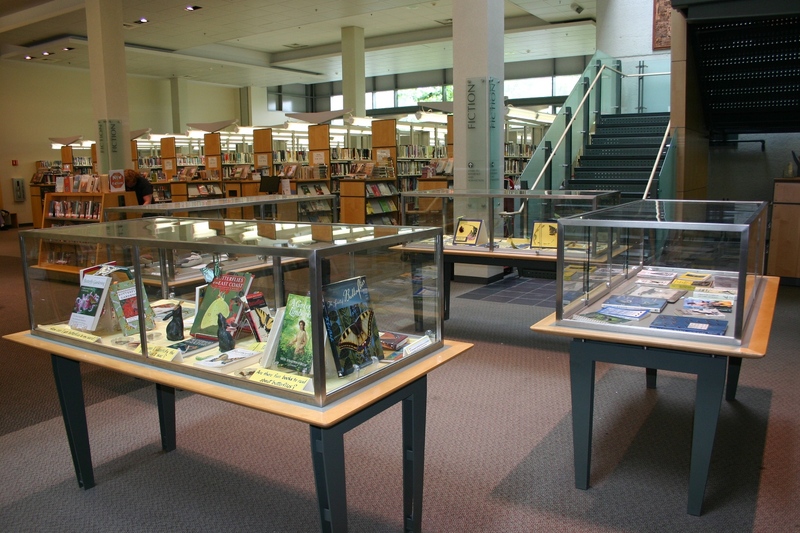 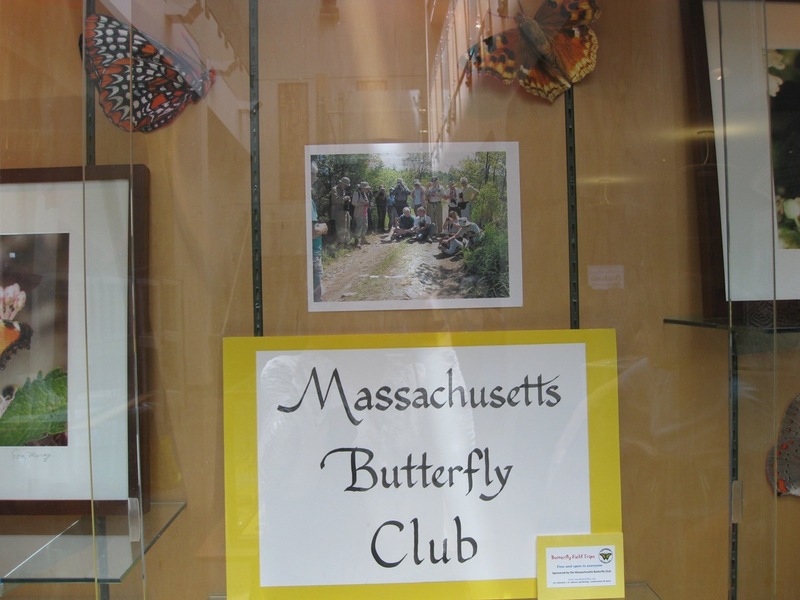 Each club had five large display cases for public viewing at the 3 Salem Square location during the entire month of June. 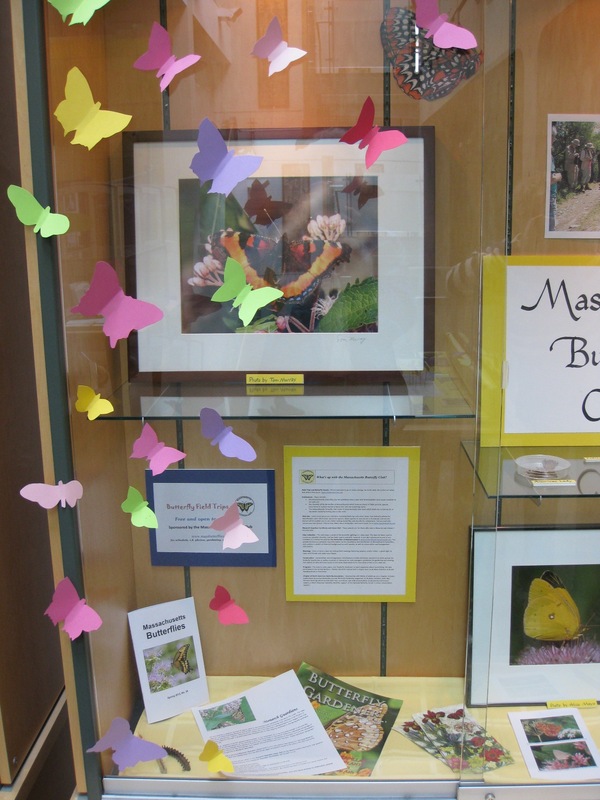 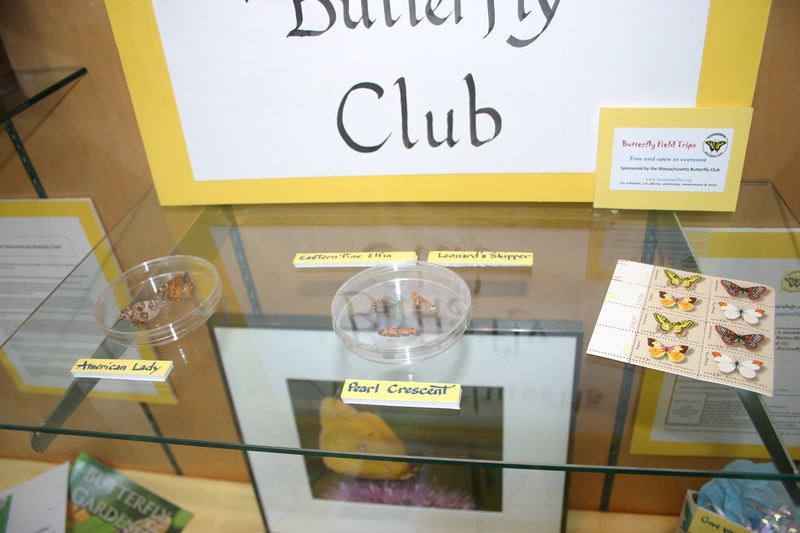 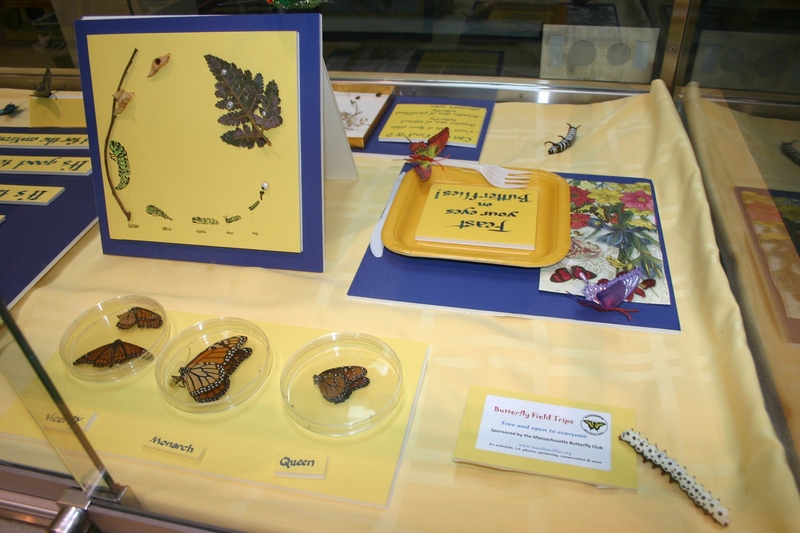 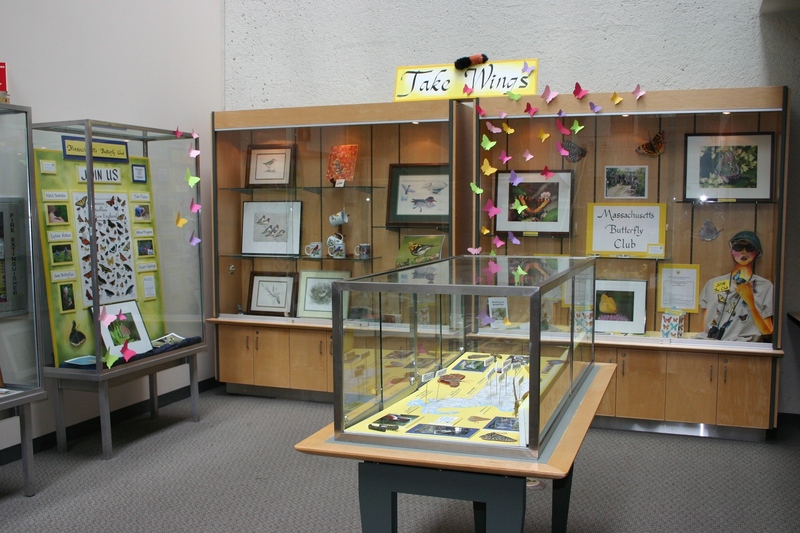 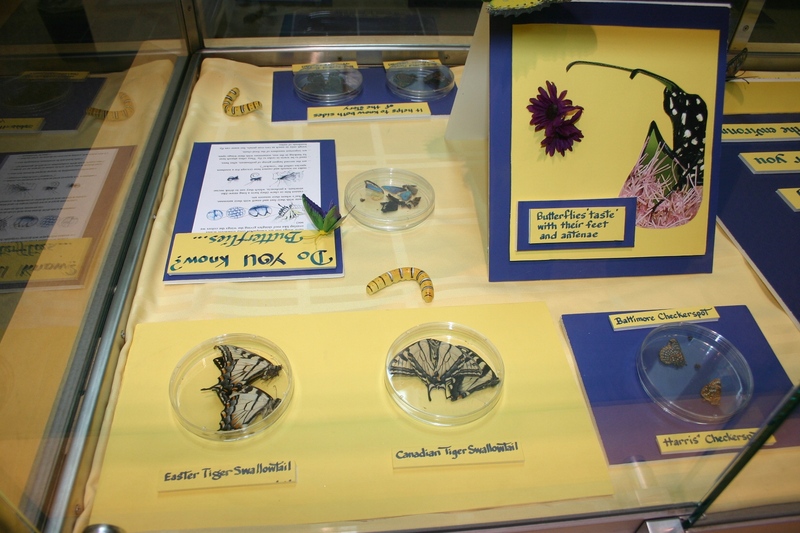 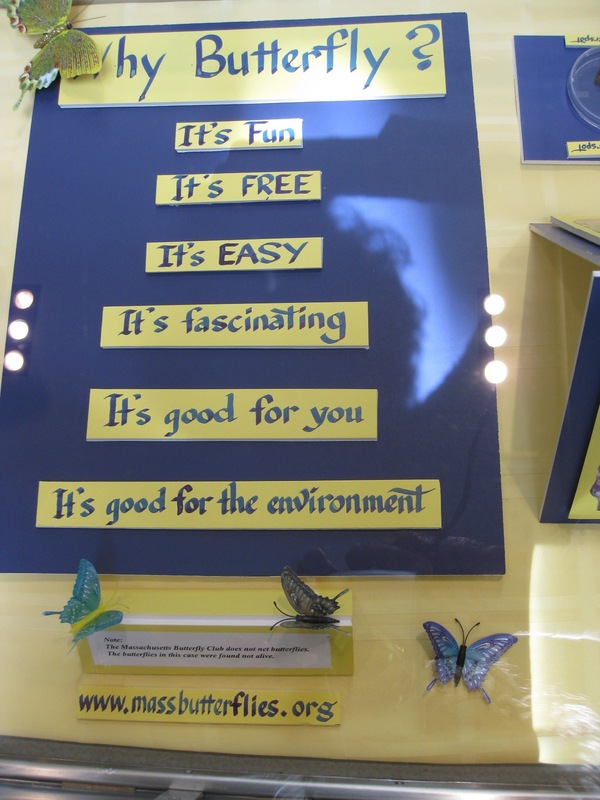 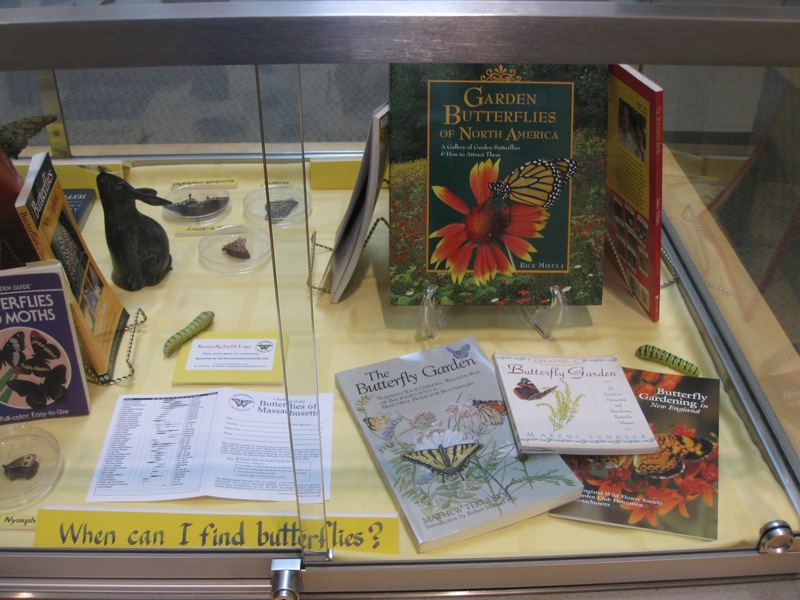 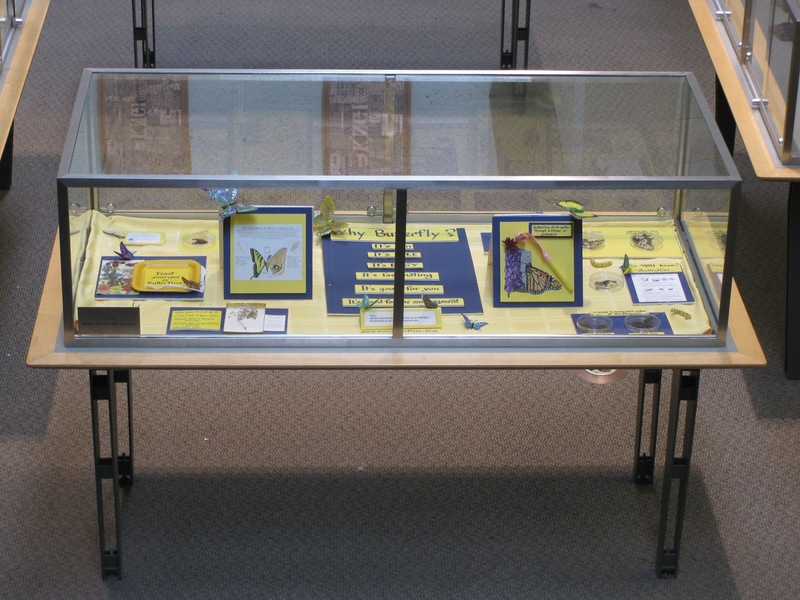 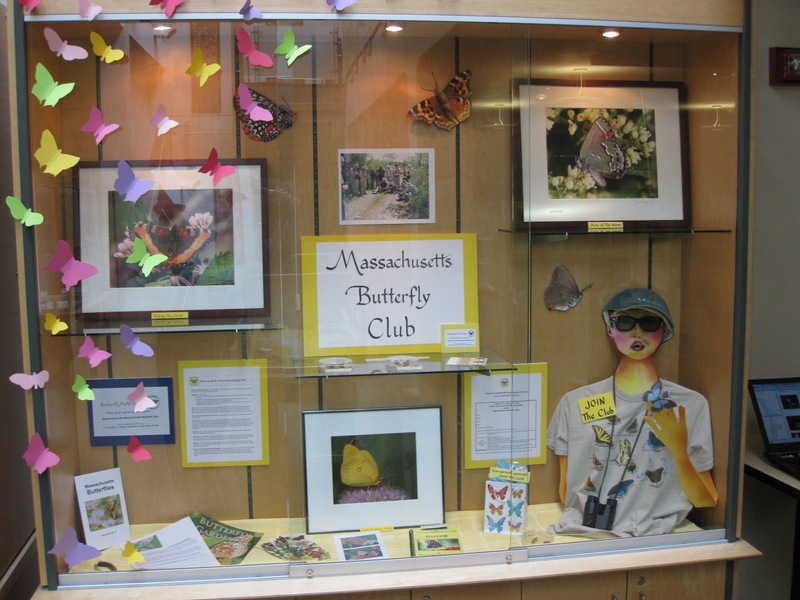 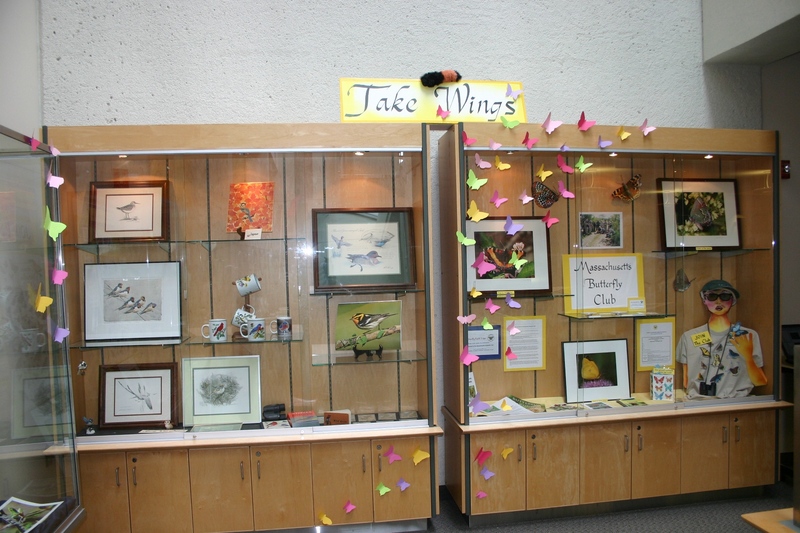 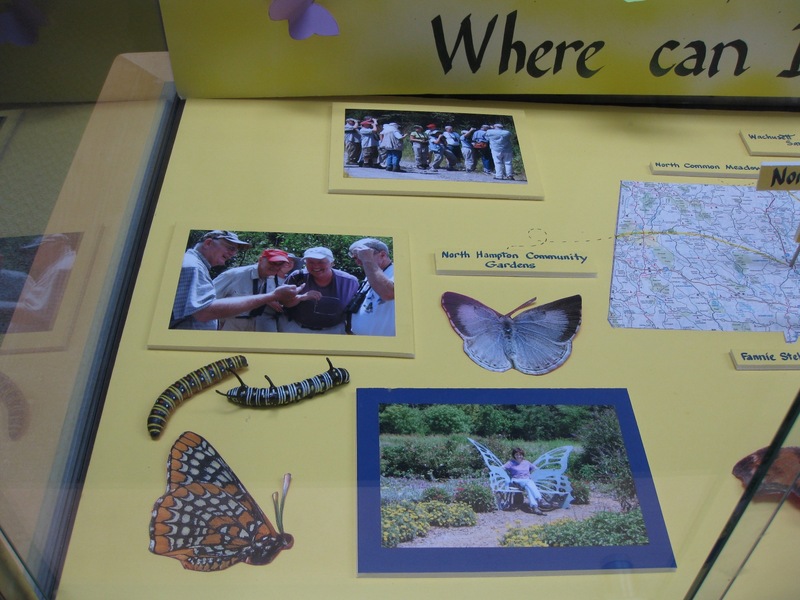 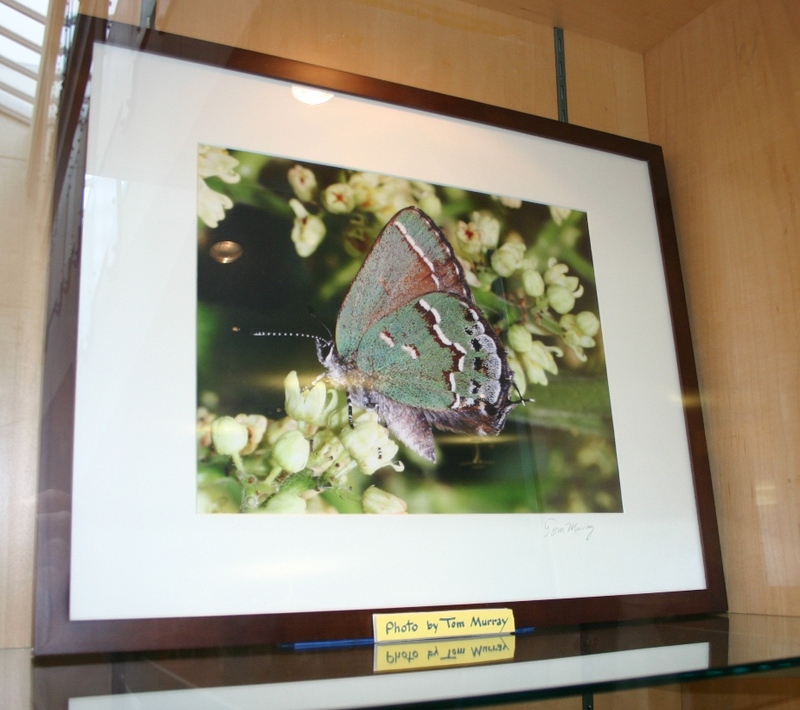 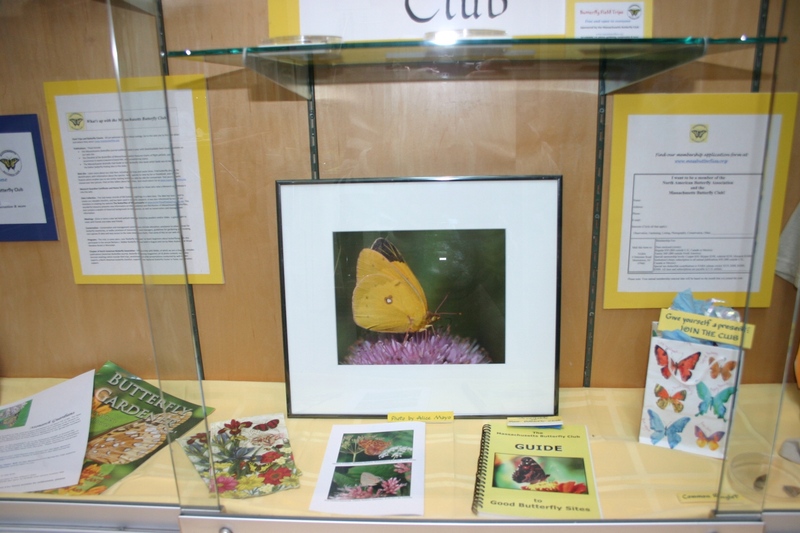 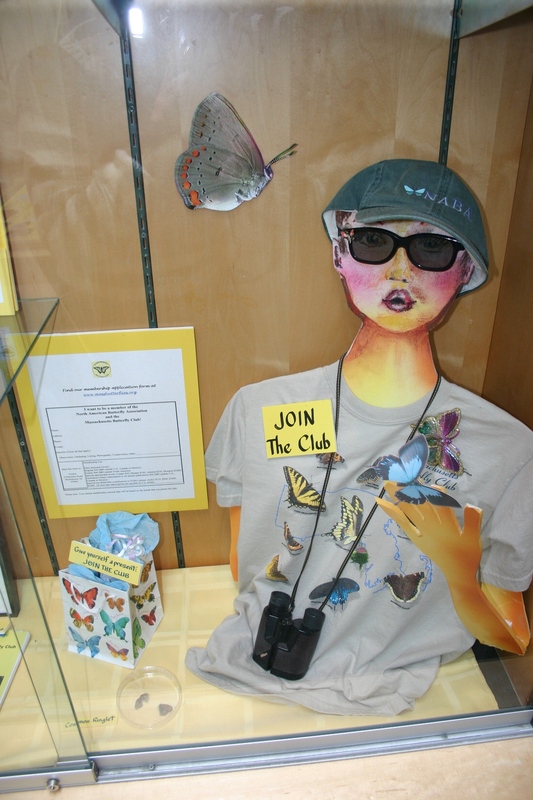 The Mass Butterfly Club display team used the theme, “Take Wings,” to highlight: benefits of club membership, interesting facts about butterfly biology, locations of fieldtrips, fun and interesting books, photographs of happy members, and framed photographs of selected Mass butterflies. 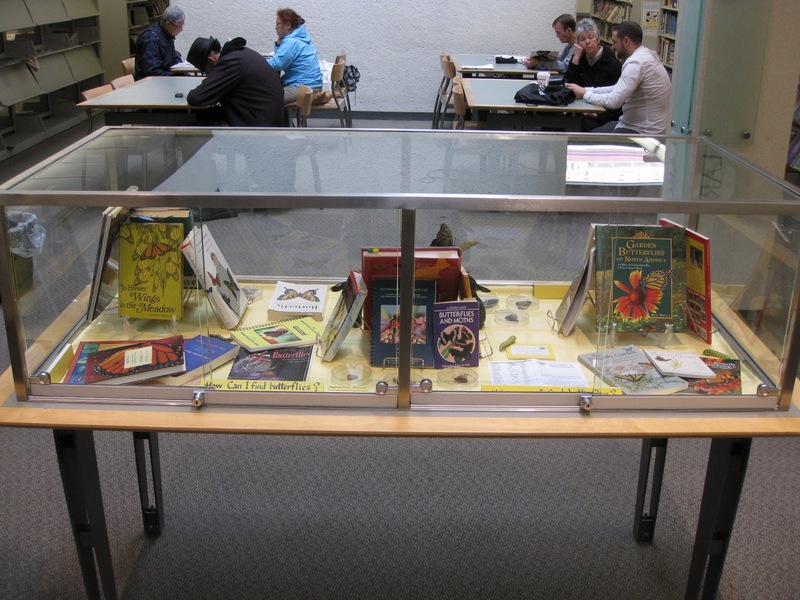 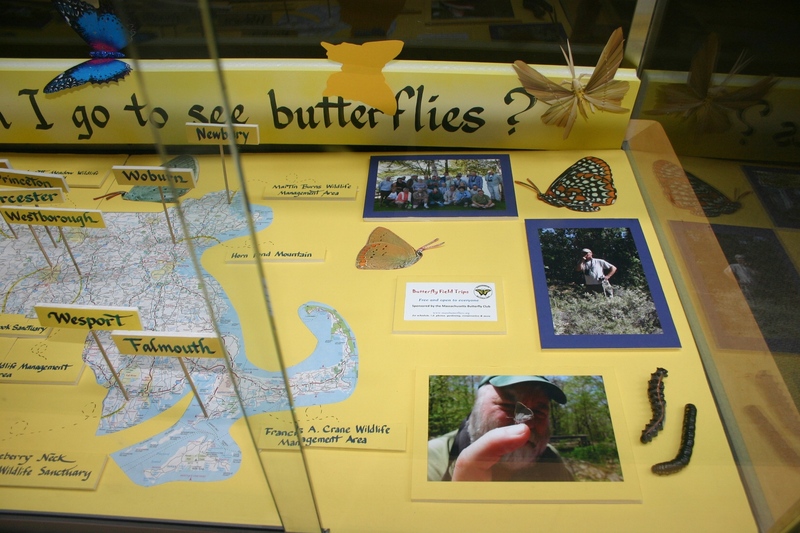 Dolores Price writes: "Many thanks go to MBC members who generously let us borrow photos, books, posters, calendars, empty chrysalides, and other items that inspired the ideas for this display. 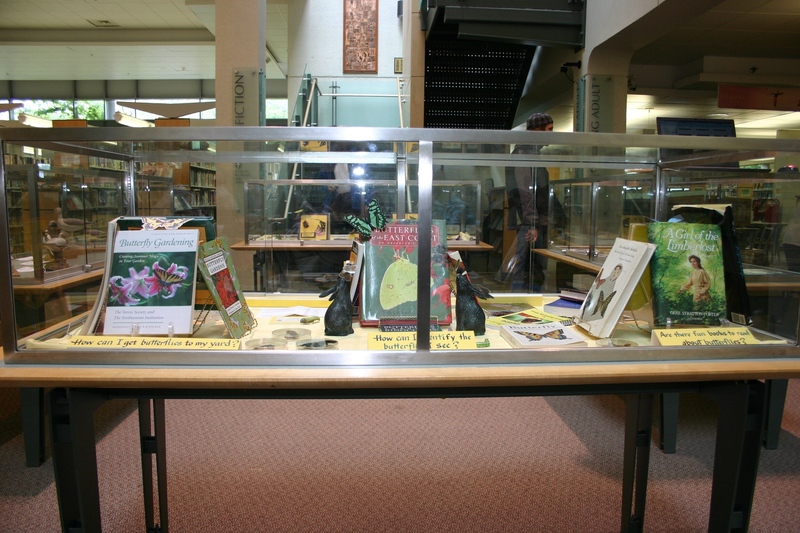 I especially wish to acknowledge the individuals who planned and carried out this project with me: Elise Barry, Wendy Miller, and most notably Beth Herr, whose creative talents brought our ideas to fruition." 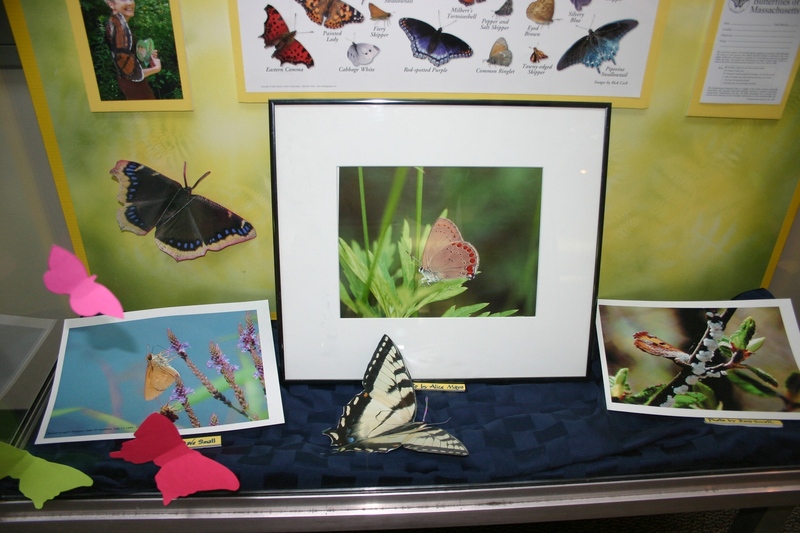 Below are some photographs of the exhibit. 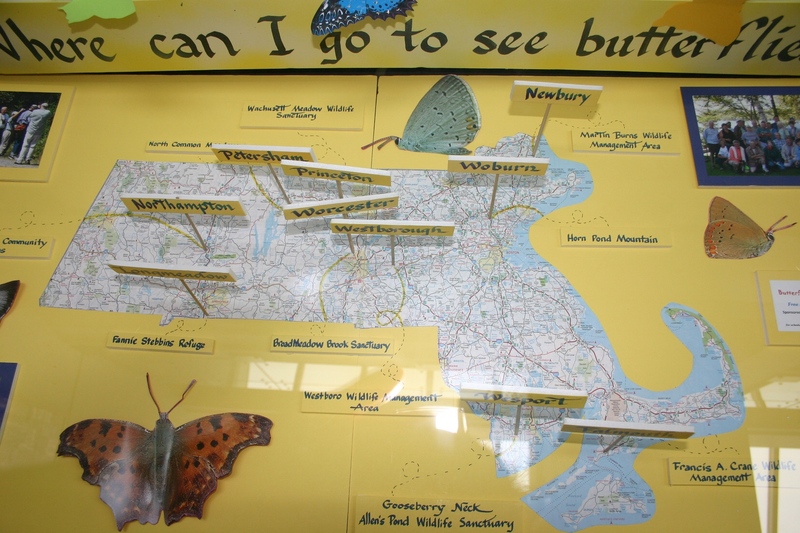 Click on photo below to see larger image.